There are number of different virtual online business meeting platforms available for companies to use to meet their online meeting needs, like zoom meetings, webex, go to meeting, or Skype for business. Some of the most basic software options are available for use free of charge; however, many of them have limited features available, or are only available for a limited amount of time free of charge. 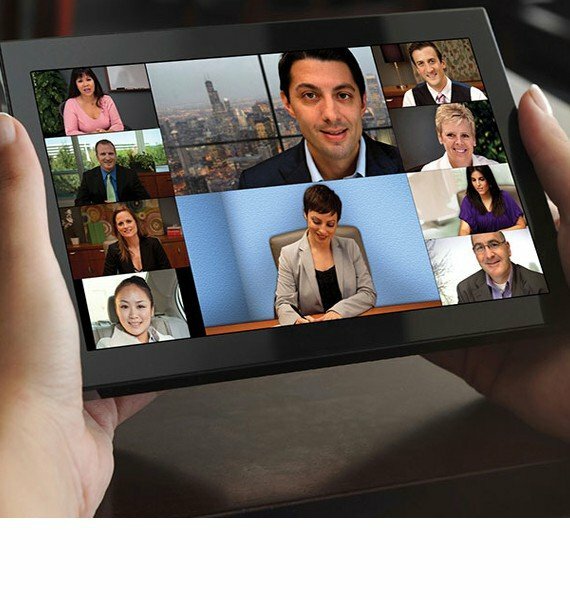 Of all of the virtual meeting software on the market today, the “biggest bang for your buck” is by far available through the use of Zoom meetings for all of your virtual business meetings online. Currently, Zoom offers customers the options of four different plans and price points to meet their specific meeting needs. Each of these four plans is discussed below. Zoom meetings offers customers the opportunity to use meeting software free of charge as part of the basic plan. This plan is really designed to be used by individuals looking for a virtual meeting point, be it with coworkers, customers, or vendors. With this plan, an individual is able to host an unlimited number of one-to-one meetings. However online meetings, where more than one participant is expected to attend, are limited to no more than 100 participants. In addition, these larger meetings are limited to less than 40 minutes in length. Regardless of the size of the meetings being hosted, all individuals on this plan are eligible for online support to host their Zoom meetings, to ensure every meeting is a success. There are a lot of video conferencing system features available as part of this plan which are not part of free plans offered by others companies. For instance, all meetings on this plan feature high definition video and voice, ensuring the highest quality video and sound possible for your online web conference. There are also a number of different view options available. These include the active speaker view feature, the full screen view options, and gallery view options. Other video conferencing system features include the ability to dual stream as well as the option for participants to join in by telephone instead of requiring participants to attend using a computer. Some of the web conferencing tools available for online web conferences with the free plan include the options to schedule meetings in advance, or to instantly schedule and host a conference. In addition, customers using this plan have access to online collaboration tools, like desktop and application sharing, private and group chat features, screen sharing, host controls, whiteboarding and the ability to make annotations, and the ability to allow participants to “raise their hand” during a meeting to ask a question without speaking over the speaker. Like all of the Zoom meeting plans, the platform is compatible with Mac, Windows, Linux, iOS, and Android devices. Not to mention there is an added layer of security with the secure socket layer (SSL) encryption and AES 256 bits encryption. The Pro level plan costs users $14.99 a month per a host, and offers all of the same features as the basic plan along with a few added benefits. For instance, unlike the Basic plan, this plan has no time limit for the length of meetings, regardless of the number of participants in attendance. In addition, this plan also offers the ability for the user to have access to admin feature controls. These features include the ability for the admin to enable and disable the ability to record, encrypted, chat, and notifications. This plan also allows for reports to be run determining how many virtual online business meetings your company is holding. These reports can also look at other trends for these meetings, like which days they occur on, how many people are in attendance at the meetings, as well as the length of the meetings being held. Another benefit of this plan is the ability for someone else to be assigned to manage your meeting schedule, including scheduling meetings, as well as ensuring participants are invited and receive the necessary attendance information to participate. This feature is ideal for busy managers or executives who travel frequently, to allow an administrative assistant to oversee the scheduling of meetings on his or her behalf. This plan also provides a cloud based video conferencing service, in that meetings can be recorded and stored in “the cloud” up to 1GB of MP4 or M4A recording. This plan does offer the ability to add on other features to meet the video conferencing solutions for small business needs as it grows. Some of these features include additional cloud storage space, options to use Zoom Rooms, or toll free dial-in access information. Each of these features is priced individually, as they are not commonly needed for businesses until they have a strong culture already established for the use of online business meetings within their company. The Zoom customer service team is able to review all of these options with customers who may need these additional services. The Business level plan is $19.99 a month per a host. It is designed to meet the needs of small to medium businesses, and requires a minimum of 10 hosts. This plan provides clients with all of the same features as the Basic and Pro level plans, as well as some additional benefits. For instance, members of the Business level plan are eligible for online support, as well as phone support to ensure their Zoom meetings run smoothly. An additional feature is the admin dashboard, which allows designated administrators to see data about the usage of Zoom to host virtual business meetings online. In addition, clients who are part of the Business level plan receive a number of customized features to ensure their company brand remains in the forefront while hosting virtual business meetings online. For instance, clients will have a customized URL for virtual meetings. The ability to sync your account with your company email is also available to automatically allow for users to be added. Also, customized company templates for inviting attendees to meetings are available as part of this plan. Lastly, there are a number of different options for integrating Zoom into your company’s pre-existing software to ensure there is an additional level of uniformity across your company’s technology resources. The Enterprise level plan is $19.99 a month per a host. It is designed to meet the needs of a large business or enterprise, and requires a minimum of 100 hosts. This plan is not intended to be used by smaller companies, and is recommended for large companies who have a need to host a significant amount of virtual business meetings online with multiple participants on a regular basis. This plan offers all of the same features as the three previous plans; however, it includes up to 200 participants as part of this plan. Like the Pro and Business level plans, there are options for adding additional participants if necessary, but this is an ‘add on’ to the plan. One of the biggest features of this plan in comparison to the other plans is the designation of a Zoom Customer Success Manager. This individual is your point of contact with Zoom, to ensure everything you need and any problems you may have are addressed as quickly as possible. In addition, this plan offers unlimited cloud storage, allowing for your company to record their online business meetings, which can then easily be accessed and referenced at a later time by your company. Since clients considering this plan likely have a large number of online business meetings within their company, Zoom also offers the opportunity for discounts on purchases for webinar and Zoom Rooms. Lastly, this plan allows for more detailed reporting and executive business review features. As you can see, there are a wide number of additional benefits as each plan increases. However, this is not to discredit the quality of service the free web conferencing offers as part of the basic plan. Unlike other providers who offer a free plan with lesser quality, Zoom offers the same quality of high definition video and audio quality are available as part of the Basic plan. The same level of security and encryption is available at the Basic plan level as with the higher plans. The free plan is great for customers who are looking at getting an introduction to virtual business meetings online or who are very small businesses who do not have a significant budget amount available for a large scale virtual meeting program to be implemented. The best thing about this plan, is the price, FREE. Not to mention this plan does not come with a “trial period” like other software programs available. The only limits, on the number of meetings on this plan, are for those with multiple participants, only being able to go up to 40 minutes. One-on-one meetings however have no time limit or a limit on the number of meetings able to take place on this plan. The higher plans are ideal for companies already using virtual business meetings online to business video conferences and virtual online business meetings regularly, with the Enterprise plan obviously being for large companies. If you have any further questions about the different Zoom plans, Zoom Rooms, or hosting virtual business meetings online, a member of the Zoom customer service team will be happy to answer any questions you may have.